Are you here because you have seen the video of the Ev3 Tracked Explorer Mark II and would like to build and drive it? Then, you are definitely reading the right post! Here, I will do my best to describe how to setup your Ev3 Brick to get it ready. This is a lengthy post, so arm yourself up with patience and let’s get started! As you may well already know, the Lego Mindstorms Ev3 brick has a very nice feature: it comes with a microSD port that you can use to boot the brick with a new firmware without permanently affecting your beloved device. This means that you can always revert to the factory settings by just removing the microSD and then power cycling the Ev3 brick. 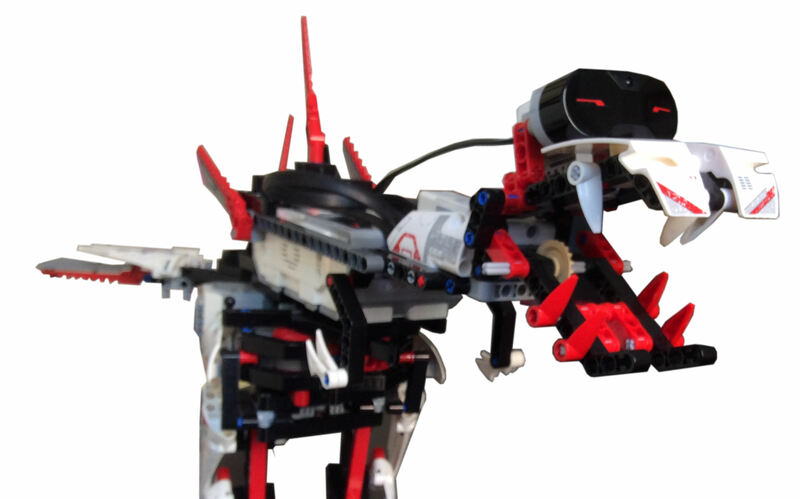 There are several firmware projects around to choose from if you don’t want to rely only on the original Lego Mindstorms graphical programming tools. 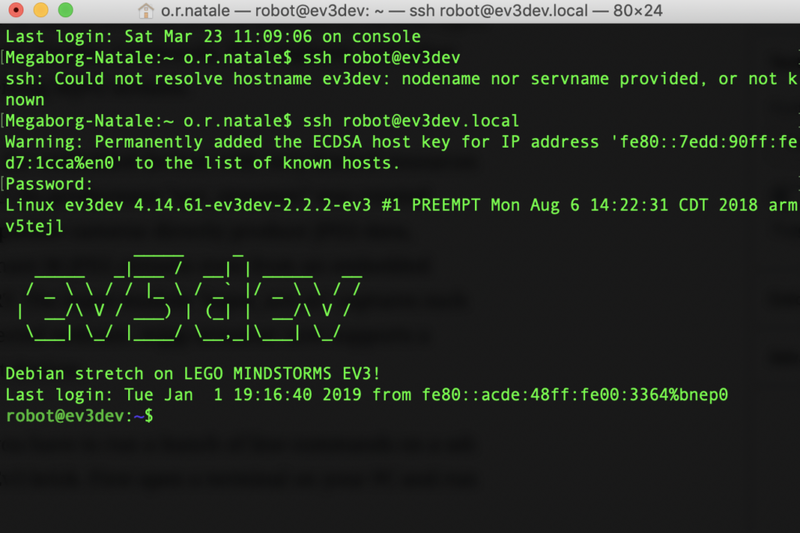 In this tutorial I will focus on ev3dev which is a Debian Linux-based operating system that runs on several Lego Mindstorms compatible platforms including the Lego Mindstorms Ev3 and Raspberry Pi-powered BrickPi. Several language bindings are available to choose from including Python. In case you’re interested a tutorial about Monobrick, have a look here instead. 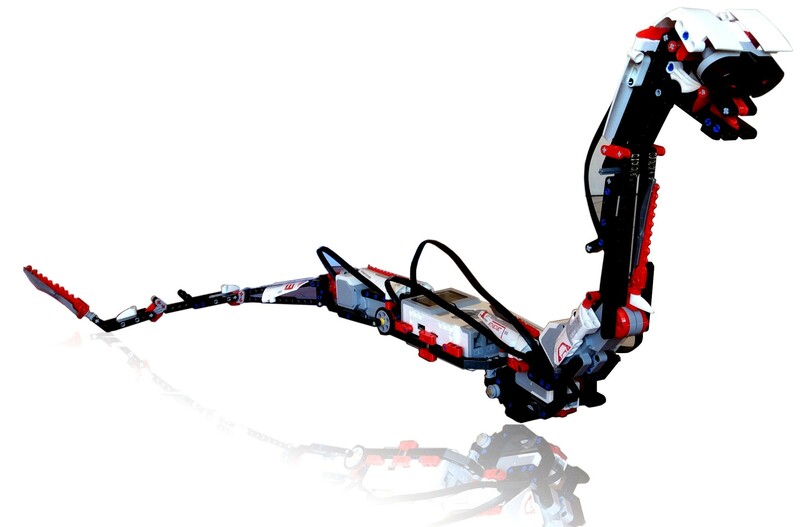 The Lego Mindstorms Ev3 brick. microSD or microSDHC card of 2Gb or greater. USB hub to connect the WiFI dongle and the webcam. I’ve tried several USB hubs, and sometimes the WiFi dongle or the camera were not properly powered for reasons I’ve not investigated. In the end, I would suggest the Digitus DA70220 Hub 4 Ports, which works pretty well. USB webcam. I would suggest Logitech C270 Webcam HD. WiFi dongle. 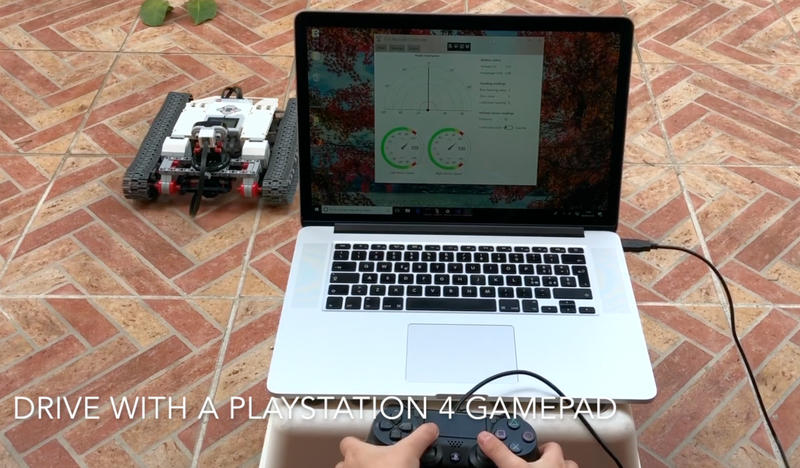 As you know the Ev3 Brick does not come with WiFi connection capability, so you need a WiFi dongle to stream the data from the webcam. 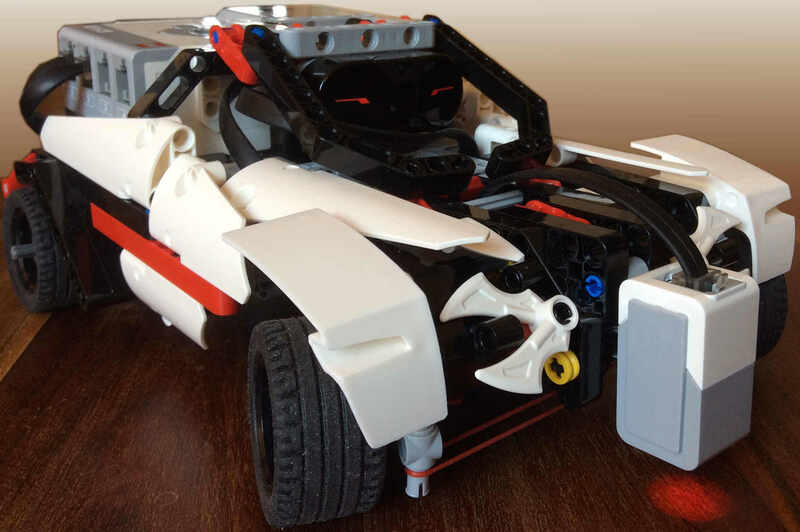 Actually the Bluetooth connection can also be used as it comes with the Ev3 brick, and it has also the advantage that there is no need for a WiFi router in then middle, but the Bluetooth connection works over a very short range and also the bandwidth is limited. In the end I’ve tried with success the USB WiFi DONGLE AMIKO which has a big antenna very useful for this application. Some of the above steps are based on carefully shaped instructions found on the respective sources, so when appropriate you will find the link at the external page where the subject is discussed. You can find excellent instructions to install the ev3dev firmware on a microSD card here. Once you’re done, proceed with the next step. (I promise to update this page with self-contained instructions). 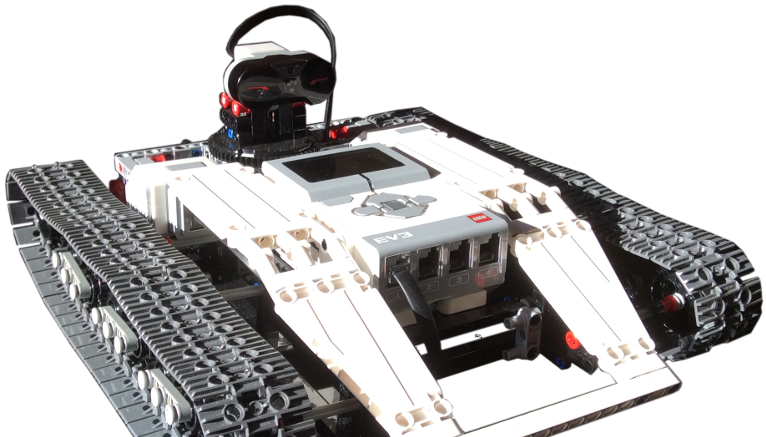 All the source code for the Ev3 Tracked Explorer Mark II is on the SmallRobots.it GitHub repository. Once you’re on GitHub, click on the Clone or download button, then choose Download Zip; the download should start shortly after. Remote App; it’s the Universal Windows Application which can remotely control the rover; I will show you how to compile and use this code in a separate tutorial, but try to compile it with Visual Studio 2017 in the meanwhile. 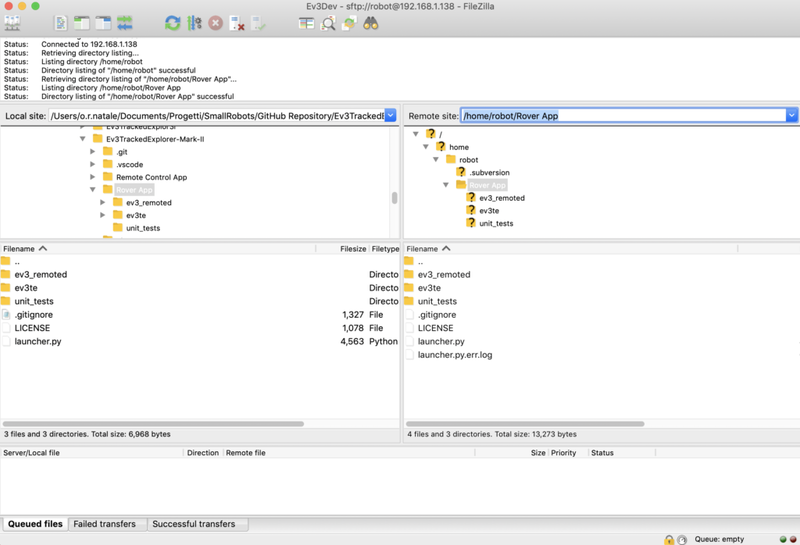 FileZilla connection parameters to connect to the Ev3 Brick running ev3dev. Of course, you have to substitute the Host IP Address with the IP Address of your brick. Once you get connected, you should see a window like the picture below, which shows you on the left the folders on your computer, and on the right the folders on your remote ev3dev Ev3 brick. Copy the Rover App directory in the “/home/robot/” to complete this step (just drag and drop). 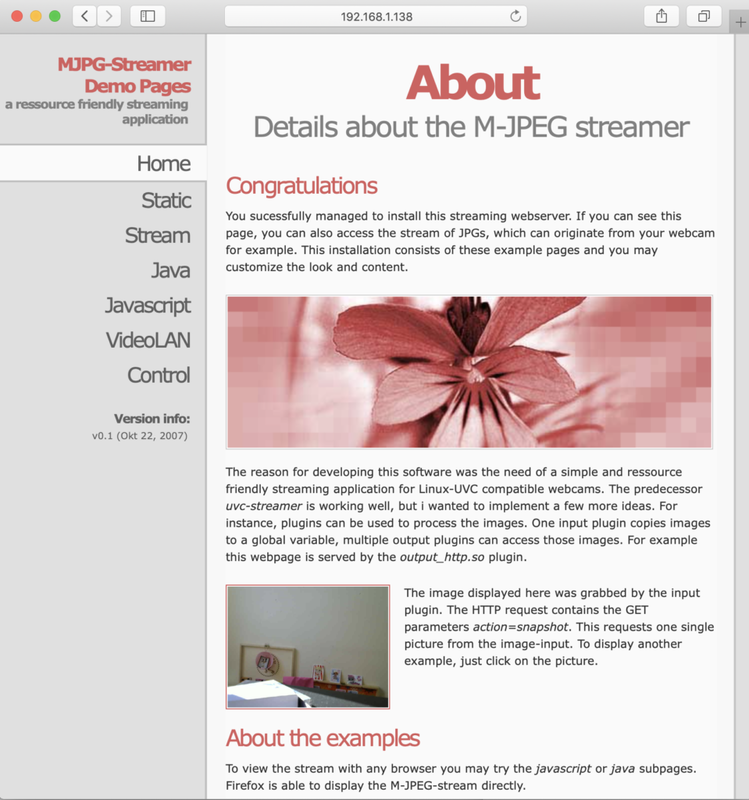 mjpg-streamer is a command line application that copies JPEG frames from one or more input plugins to multiple output plugins. It can be used to stream JPEG files over an IP-based network from a webcam to various types of viewers such as Chrome, Firefox, Cambozola, VLC, mplayer, and other software capable of receiving MJPG streams. It was originally written for embedded devices with very limited resources in terms of RAM and CPU. Its predecessor “uvc_streamer” was created because Linux-UVC compatible cameras directly produce JPEG-data, allowing fast and perfomant M-JPEG streams even from an embedded device running OpenWRT. The input module “input_uvc.so” captures such JPG frames from a connected webcam. mjpg-streamer now supports a variety of different input devices. Ok, to start the installation, just download the mjpg-streamer from this link on GitHub, unzip the package, and copy it on the ev3dev Ev3 brick in your /home directory using FileZilla (or any other SFTP client of your choice) as already shown before. Now proceed to update the package lists for any upgrades of packages that need upgrading, as well as of new packages that have just come to the repositories (just be sure to run the commands on the ssh shell and not on your local computer shell ok? ); insert root password when prompted. /usr/local/bin/mjpg_streamer -i "input_uvc.so -n -f 10 -q 50" -o "output_http.so -w /usr/local/www"
Screenshot of a browser to the mjpg_streamer welcome page. Setup the brick to run mjpg_streamer automatically on start-up; in this case, see below. [Unit] Description=mjpg_streamer starter After=multi-user.target [Install] WantedBy=multi-user.target [Service] Type=simple ExecStart=/usr/local/bin/mjpg_streamer -i "input_uvc.so -n -f 10 -q 50" -o "output_http.so -w /usr/local/www"
ExecStart=/usr/local/bin/mjpg_streamer -i "input_uvc.so -n -f 10 -q 50" -o "output_http.so -w /usr/local/www"
Just check the correct path on the last line, then reboot and you’re set! Use command line since you should have the ssh terminal already open. 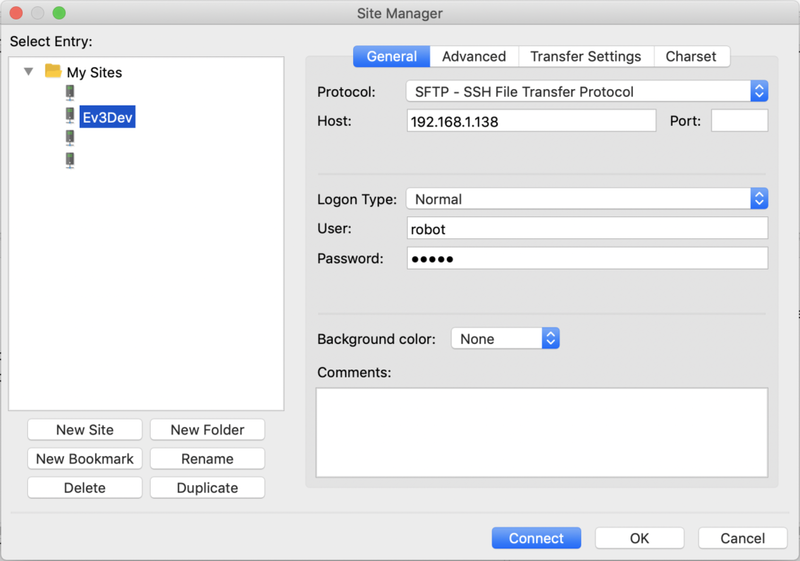 Use FileZilla to get the benefit of the graphic user interface. This will grant executable permission for all users to the launcher.py file. 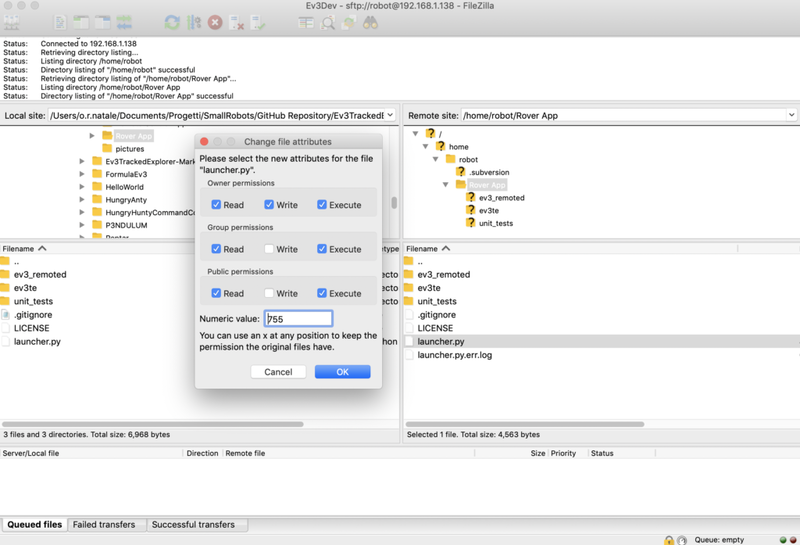 If you wish to use FileZilla GUI, once connected to the ev3dev Ev3 brick, right click on launcher.py, and choose File Permission…, then check Execute, for the owner, the group, and the public. See picture below. Step 4 – Rover App is running! Congratulations! The Rover App is running and the rover is ready to be remotely controlled! Now compile and run the Remote App and enjoy. I’m currently working on a tutorial like this to show how compile and run the Remote App. Stay tuned! 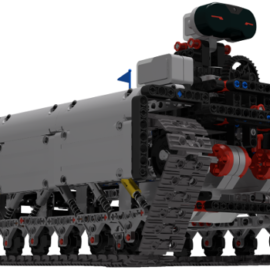 ← Ev3 Tracked Explorer Mark II is ready!